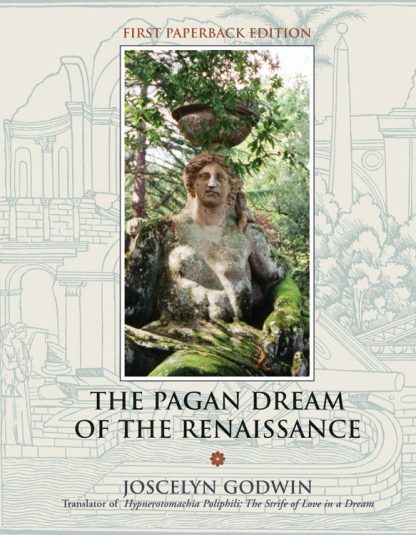 The Pagan Dream of the Renaissance recounts the almost untold story of how the rediscovery of the pagan, mythological imagination during the Renaissance brought a profound transformation to European culture. This highly illustrated book, available for the first time in paperback, shows that the pagan imagination existed side-by-side -- often uneasily -- with the official symbols, doctrines, and art of the Church. Godwin carefully documents how pagan themes and gods enhanced both public and private life. Palaces and villas were decorated with mythological images; stories, music, and dramatic pageants were written about pagan themes; and landscapes were designed to transform the soul. This was a time of great social and cultural change, when the pagan idea represented nostalgia for a classical world untroubled by the idea of sin and in no need of redemption. A stunning book with hundreds of photos that bring alive this period with all its rich conflict between Christianity and classicism.